Hopkins is a beach town in Southern Belize (population 1500ish) that has really held on to its roots as a Garifuna Village. Well maybe that’s the wrong way to say it…it hasn’t held onto anything. 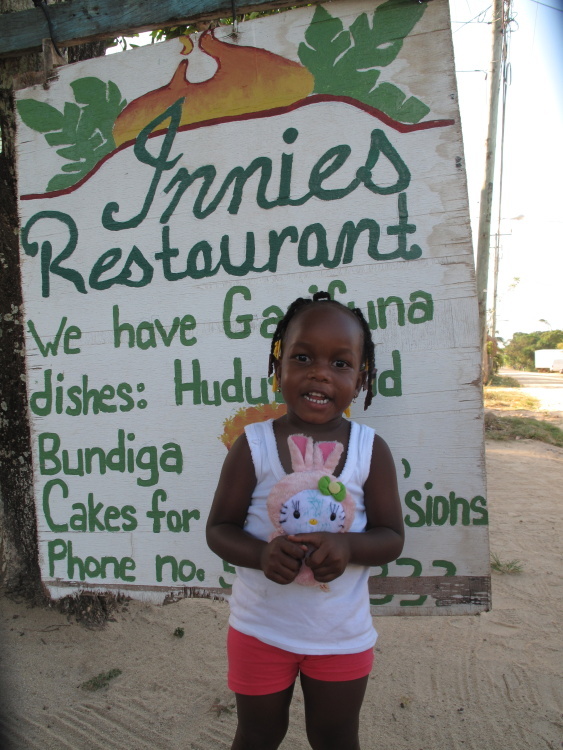 It is a tiny Garifuna Village. 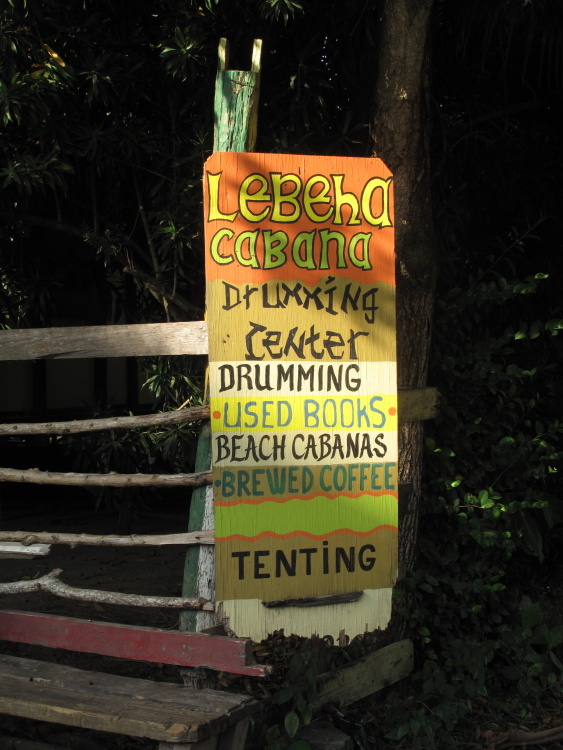 A friendly place on a long strip of beach that will have you thinking about buying a shack on the Caribbean sea, quitting your job and relocating. Unlike some other larger, more touristy areas in Belize, there has been relatively little development in the village center – and it is full of rustic charm. Think the smell of creole bread baking over an open fire or roosters and school kids walking by you on the unpaved street. Or fishing dories pulled up along the beach. That being said…on both the Northern and Southern edges of the village – there are hotels with as many or as few luxuries as you desire. And for such a small village, they have some AMAZING restaurants. 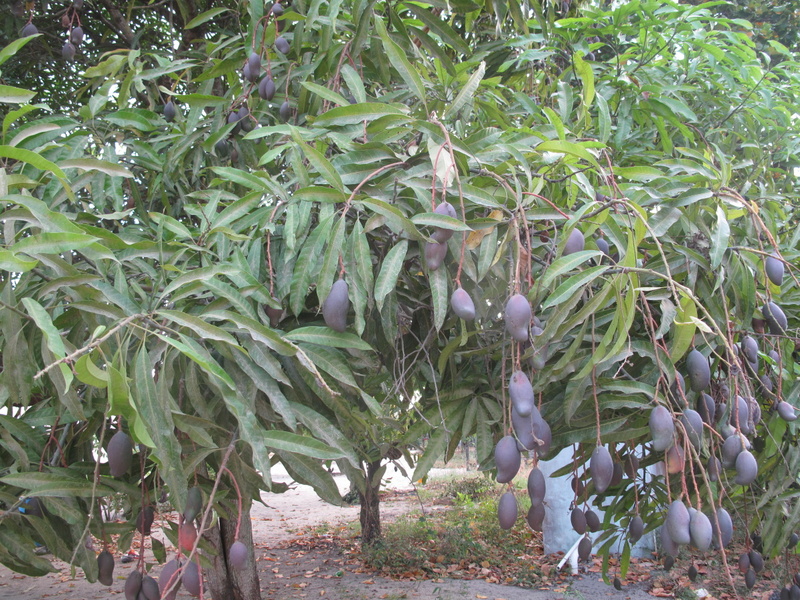 A few years ago, I went to the village’s rejuvenated Mango-Fest and it was fantastic. Let me see if I can convince you to join me in Hopkins this year for Mango Festival. 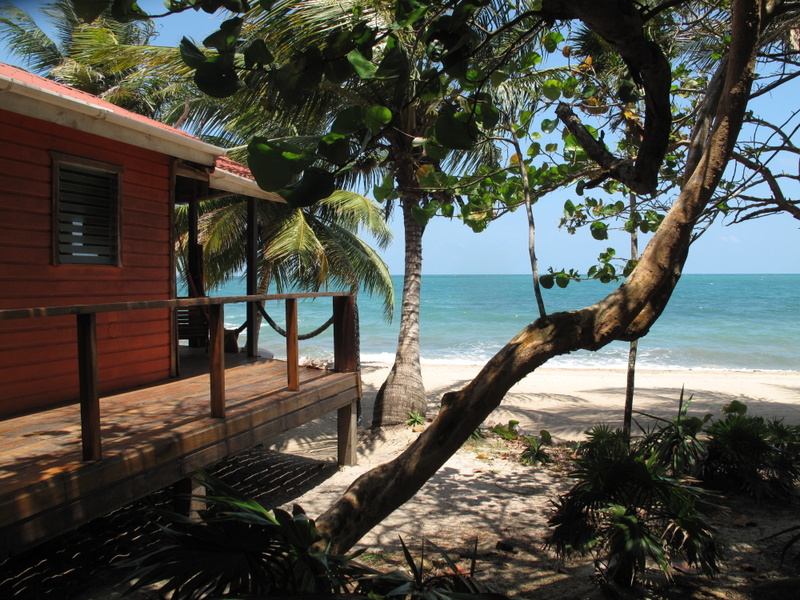 Reasons to Head to Hopkins, Belize ASIDE from the Mango-Fest. 1. 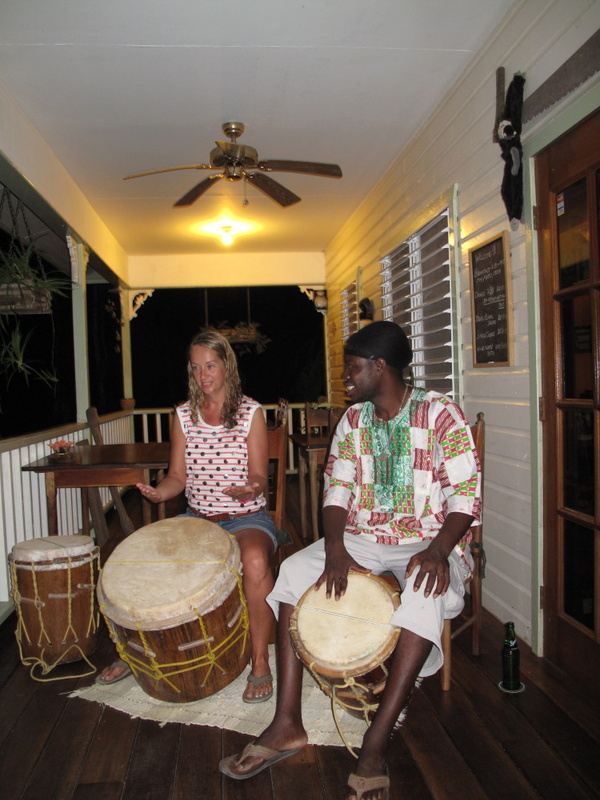 The Garifuna Culture – the food, the music, the language (you actually hear it spoken frequently in Hopkins)…Hopkins is perhaps the best place to experience this mix of African, Caribbean Indian and Belizean cultures. 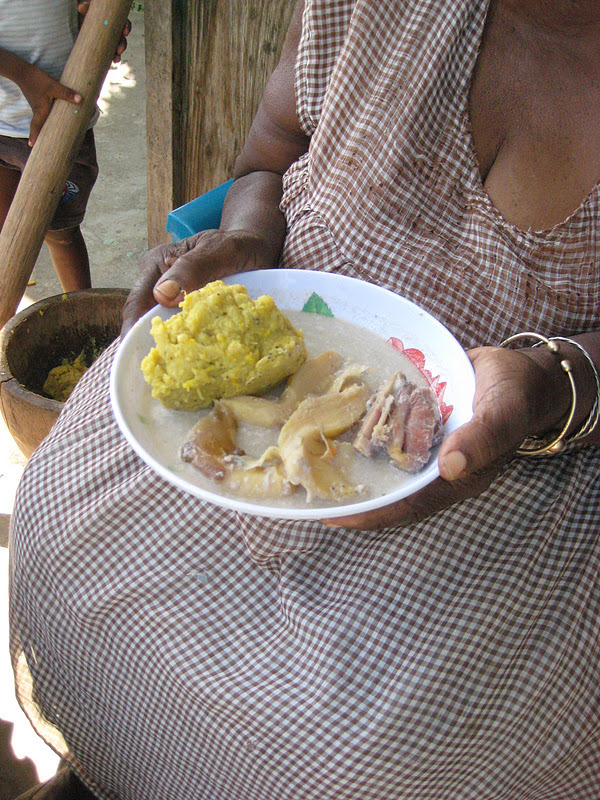 For lots more information on the Garifuna and their history, check out this article. …or TAKE LESSONs at the local drum school. Super fun. And if you are like me…this lesson will further prove how little rhythm you have. Over the festival weekend, I imagine there will be drumming everywhere! This is me in Punta Gorda…I was…horrible. But it really is fun. 2. The Food. High end estaurants like Chef Rob’s, Barracuda (the bread!) and GORGEOUS Hamanasi’s Restaurant. 3. The Incredible Bioluminescence Tour – Just a short boat ride away is one of the most surprising trips I’ve been on in Belize – a glowing lagoon. I took this tour a few years ago and wrote all about it because you can’t take pictures! It’s too dark. 4. Proximity to some other AMAZING sights and tours. Bocawina – a gorgeous property and the longest zip line in Central America. 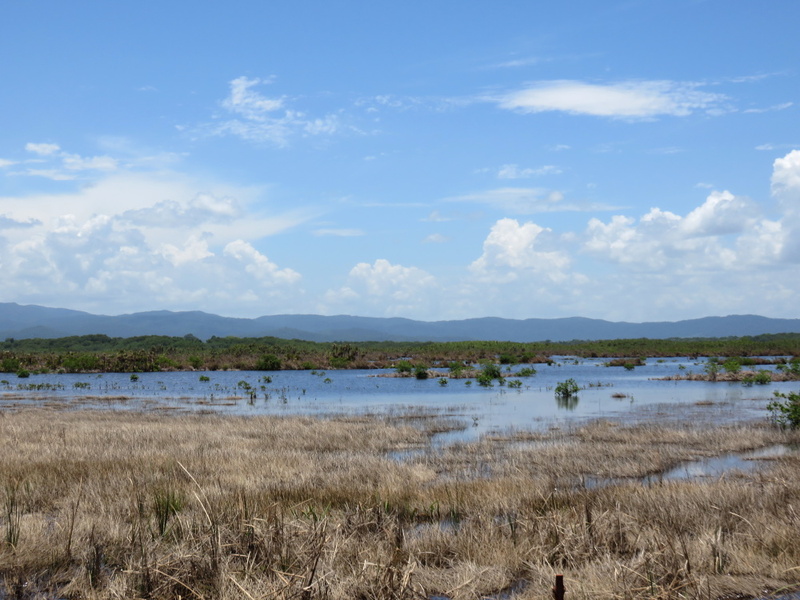 Amazing birding on the savannah between the mountains and the beach. It’s the only place that I’ve seen a jabiru stork in the wild. The bounty of mangoes brings in about 16 billion birds as well. The Marie Sharp’s Factory is only about 20 minutes from Hopkins, where they offer tours and samples of all the products they produce. There is a ton more…the Cockscomb Jaguar Reserve, tons and tons of hiking, waterfall rapelling, snorkeling, water sports….the Sittee River! It’s a GORGEOUS and very very interesting part of the country. 5. The star of the show – THE MANGO! Trees bursting with what might possibly be the world’s most delicious fruit. If every resident of the village ate 10 a day, I’m sure there would still be 1000s left for the birds. Here is what I usually see when I visit Hopkins…mangos not yet ripe. Teasing and taunting me. Here is what I hope to see at the Mango Festival. There are some of the reasons to visit Hopkins but here is what is happening for Mango Festival. Live music, GREASY POLE CONTEST!, lots of food, a dory fishing competition, dancing, games…. I hope to see you there! Please let me know, subtly, if I have mango on my face. Love Hopkins! I bet the mango festival will be wonderful. It’s my favorite fruit too. Love Innie’s and hudut…mmmm…you are making me drool. I posted this three years ago already and still agree with myself. 🙂 Wish we could be there. Love Hopkins and mangoes!